Grave of General W. T. Bridges at Mt. Pleasant. 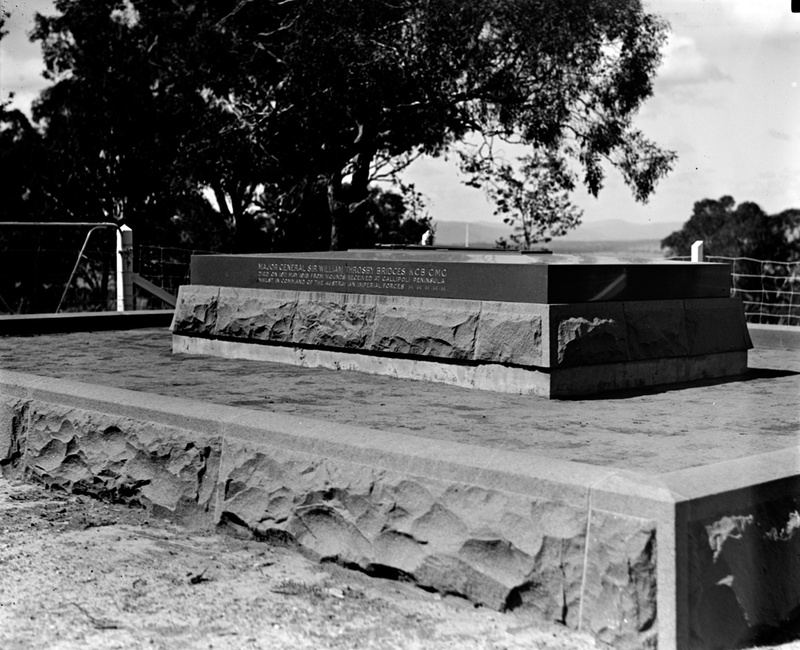 This grave was designed by Walter Burley Griffin in 1916 and completed in 1920. It's the only structure designed by Griffin that was built in Canberra. Bridges was commander of the Australian Infantry Force which landed at Gallipoli in April 1915.